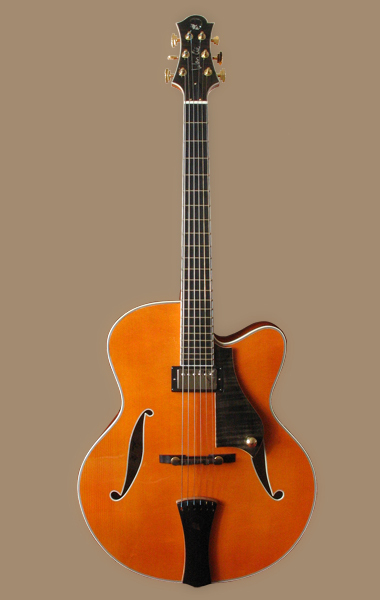 Shape: Arch-top guitar with body size 17"x3"
Soundboard: X braces and medium "S" sound holes. Other: Angle of the head is 14 with wedge shape. 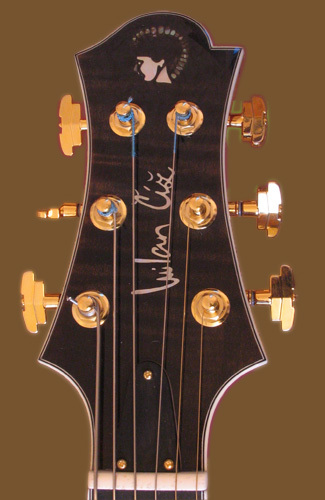 A tailpiece is cleverly combination of the maple and ebony with brass string hanger. 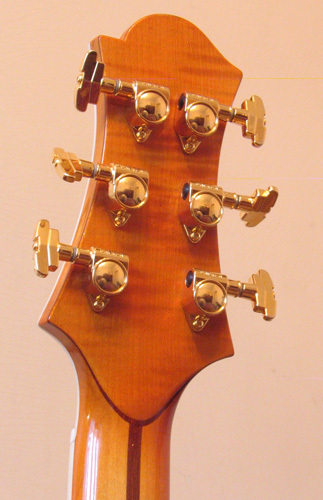 The tailpiece also matches the head and pickguard shape. 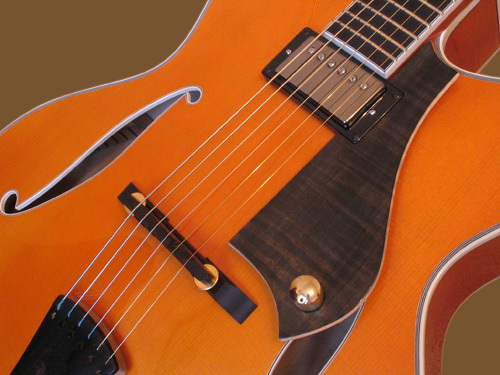 Sound: Sound is providing with Benedetto A-6, which is embed in body in the special wood pocket for best response of the soundboard and pickup too.A sound is conventional for arch-top guitars with accent at the balance between acoustic property and amplified response. 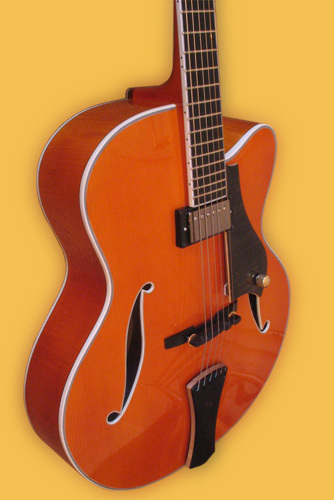 A guitar was designed with jazz guitarist Boris Cellar and this model carries his name. Pickups: Benedetto®,Gibson®, Seymour Duncan® etc.